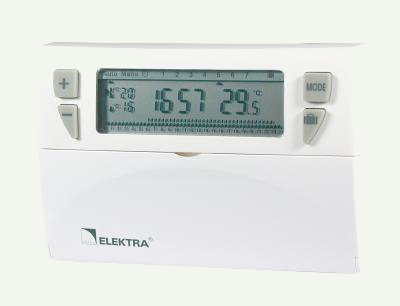 The Electronic Temperature Controller ELEKTRA DIGI2 is designed for heating systems, especially for electric floor heating. Produced in accordance with EN 60730-1 and EN 60730-2-9. It consists of controller and sensor appropriate for the application.